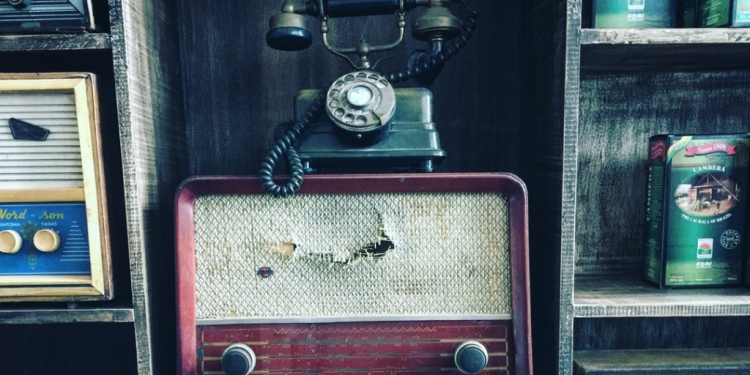 March 2nd marks National Old Stuff Day, a day to appreciate, well… old stuff! 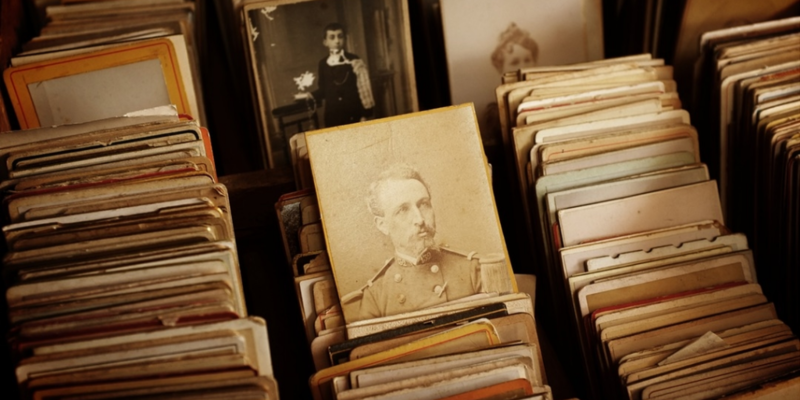 From long forgotten trinkets gathering rust and dust in the attic right through to treasured family heirlooms and antiques, today’s the day to acknowledge it all! What is one special item that you have inherited/been gifted by someone? What makes it special to you? My nana knitted me some blue mittens when I was younger. They are special to me because she loved knitting and was always knitting amazing items for all the family. After she passed away I have kept them safe and are a reminder of how great she was. I keep old cards, emails, photos and post it notes; anything with a positive memory of times gone by and put it in a box. Whenever I look through it its great to remember jokes and heartfelt wishes of times gone by. Something I inherited that is special to me a Trade Union sash belonging to my great great grandad who was one of the founding members of the Transport and General Union. One special item I’ve inherited is my grandmother’s engagement ring. For me, what makes it special is not the ring itself but the box it comes in, where my grandmother had written in pen the date they got engaged. You can also see the name of the jeweller in the box which I have Googled and discovered that the building is now a travel agent! An old book of Aesop’s fables that was kept on the bedside table in the spare room at my Grandparents. It’s special to me because it is the only tangible thing I have left that links me to a place where I have many fond memories. I received bound copies of all the Thomas Hardy books from my Uncle. I love Thomas Hardy and they are very old but very special to me. A few years back I was lucky enough to meet one of my favourite songwriters Brian Fallon. His reaction to meeting a young fan outside the venue in the middle of November was to retreat into his tour bus and return with a coat to keep me warm on the journey home, which was ridiculously kind. It’s a possession so treasured that I haven’t dared to wear it outside again since! When I was about eight I had a huge fascination with the Titanic; the luxurious nature of the ship, as well as its demise, caught my young imagination. My mum’s family are from Northern Ireland, and I was in awe of ‘Samson and Goliath’, Harland and Wolff and the shipyards every time I was in Belfast. My Uncle’s Grandfather had worked on the ship as it was being built and, on one trip ‘over the water’, he gave me copies of the newspapers his Grandfather had kept from days surrounding the ships launch and sinking. I read them avidly, and couldn’t believe that he would give them to me – thank you Uncle David! National Old Stuff Day is a great time to search through old family photos. Talk about an object you have kept from your childhood, why is it so important to you? I still have my ‘last day of term’ shirt from Primary School. It has messages on it from all my classmates and friends and I would never throw it away as it’s like a mini time capsule from my childhood. My PlayStation?! Just kidding! My baby videos. My mum was really good at documenting all of my moments when I was younger. I watched them all the time growing up. My mum recently got them converted to DVD for me and I still watch them to this day. I used to have lots of treasures: a horn-handled penknife from Africa and various semi-precious stones that I had collected in my youth from different holidays – but due to various house moves over the years I don’t know where any of these objects are now. One thing that I do still have are some teddies, including one that’s older than me. They now sleep in my children’s beds at night, even though I have to hide them when their friends come round because it’s not cool to have dolls and teddies when you’re 11! I’ve kept, from my childhood, a collection of recipes I had cut out of magazines and copied from TV programmes. These recipes are actually really useful and it’s fun to look at the 80s style pictures and cooking trends. The recipes also take me back to the school fetes I used to cook fudge and coconut ice for. I have a drawer full of things kept from my childhood, including a ‘time-capsule’ of unrecalled contents that I cannot open until 2026. Other things include old receipts, toys, medals and all sorts that I didn’t want to throw away because of the nostalgia and moments I attached to them. They’re all important to me because, without them, experiences and moments are lost as memories fade. I have still got my original teddy called “Teddy” and my first doll, called Rosemary. 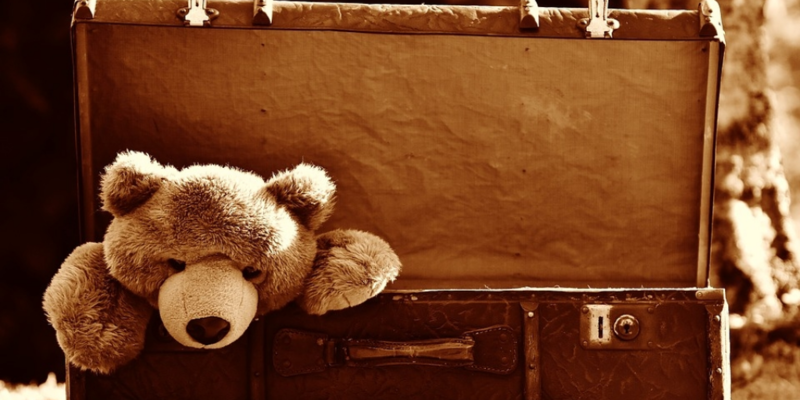 I still have a teddy bear – Pudsey. Though he was brown, he was named after the ‘Children in Need’ mascot. I loved Pudsey as a very young boy, and took him everywhere with me. On one occasion, as I was walking with my mum holding one hand, and Pudsey in the other, a dog got free from its owner and attacked Pudsey. Pudsey lost an eye, and quite a lot of weight (as the stuffing oozed out of the bite marks) and was lovingly repaired by my mum. That is one of my earliest memories, and I look forward to giving my own young son a one-eyed bear soon. Teddy bears and toys cropped up quite a lot for this question! What is something you have bought/received as an adult that you’ll never throw away and why? This isn’t very grand or exciting but I bought a vintage jug that is in the shape of a giant lemon! I found it in a charity shop for £1 and its my most favourite item and I would never throw it away. Honestly I feel like my answer for all three is the same. Material possessions come and go but memories stay the same. And even if I get to the stage where my own memory fails me, the memories of times gone by will be preserved in cards , photos and videos forever for me to look back on. I’m not a hoarder but one thing that I bought a few years ago which is pretty cool is an old wooden trunk – it looks a bit like a pirate’s treasure chest. It’s over 100 years old, and still has the inscription in it, ‘to Ethel from Daddy on her 21st birthday 1916’! It’s nice because it tells a fragment of a story, I wonder where Ethel was travelling to and whether she was going off to serve as a nurse on the Western Front. Something I have acquired as an adult is a toy glove puppet monkey that was my daughter’s favourite toy as a child. This monkey accompanied us on most outings for around two years and many conversations were held with the puppet to develop language skills. However battered and scruffy the monkey looks I will never throw it away. The hospital wrist-bands from the births of each of my children will certainly never be thrown away. If a chronology of one’s life were to be constructed through ‘things’, these would mark the beginnings of their first chapters. My camera… I will never throw this away as I love taking pictures and getting in touch with my creativity. As a self-confessed hoarder, there are an embarrassingly high number of contenders for this answer! Every time I go to a gig I keep hold of the ticket and store them all up in a box in my room. Live music will always be one of the most important parts of my life, so to have physical reminders of so many wonderful memories is a really great feeling. My romanticism for newspapers probably explains why I trained as a journalist, and also why the stark reality of local news (which is anything but romantic) quickly made me move into the charity sector. I have a heap of newspapers from 27th May 2005. Any ideas why? It was two days after Liverpool Football Club won their fifth European Cup in Istanbul. The papers on 26th May (of which I have a couple) hadn’t been able to put the final result in their editions due to the extra-time and penalties. The joy of that night will only be superseded by the night that Liverpool finally win another league title. I’ll be sure to keep the newspapers from the day after that too. And to cap off our tales for National Old Stuff Day, we have a story from our CEO Paul Goulden! 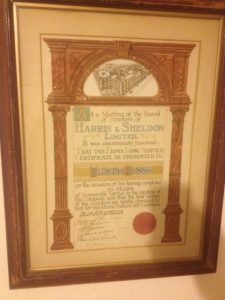 This is a framed certificate awarded to my great-grandfather, Albert Busst, for 35 years service to the company he worked for – Harris and Sheldon. They were shop fitters that started in 1880 and made shop fittings in Birmingham. My great-grandfather was a cabinet maker for them. There are two things that really strike me about this – firstly the idea of working for the same company for 35 years is now extremely rare, so there was a different dynamic between your job and your life. Secondly he actually made things with his hands, which makes me think about creativity and how we do things now – does a website designer have the same relationship with the website they make as a carpenter has with making a table? Which brings us to the end of our National Old Stuff Day blog! Please feel free to tell us about your favourite possessions in the comments section below or use our online directory to find your local Age UK in London. Age UK London is the new name for Age Concern London. We act as the collective voice of London's Age UKs and Age Concerns, working to improve the quality of life and enhance the status and influence of older people in the capital.